You might have heard a little bit about Pay Per Click but you’re confused at how it works. Don’t worry – we’ve all been there. Setting up a Pay Per Click, or PPC, campaign can be quite confusing. Pay Per Click is another aspect of internet marketing where advertisers pay when their ads are clicked on. The most popular of all PPC is Google AdWords. Here, users essentially pay to get to the top of Google’s search results instead of using SEO to get there organically. Let’s say you want to show up for the word “electrician” in the search results. Depending on your area and how much competition you have, showing up organically might be a piece of cake or take months and months to work. If you service a big area with a high population and a lot of competition, you may want to consider using PPC. This will allow you to show up toward the top of the search results while you are working on your SEO campaigns. PPC is a great way to get a little money flowing in while you’re waiting for your search engine optimization to kick in. What the advantages of PPC? Pay Per Click can be a great and cost-effective way of getting traffic going to your website. This, in turn, can help out your SEO efforts – but that’s another story. 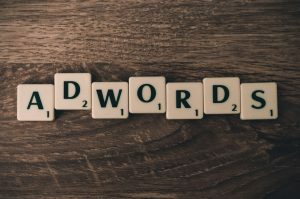 Here are six advantages of using a PPC campaign in your marketing techniques. Cost Effectiveness: Pay Per Click is just that – you only pay when people click on your link. You can set a daily budget to ensure you aren’t paying more than you’re willing to spend. With the right techniques, you can be paying less than a dollar for each click! Specific Targets: You are able to choose a specific audience to target based on location, language, and device. Most PPC platforms also offer more options such as age and gender. You can really select the people you want to target so you’re not getting clicks from just anyone. Customizations: While your ads are running you can see that some things may be working better than other tactics. You are in complete control and can customize your campaigns to make adjustments for what is working the best. Statistics: All PPC campaigns have data attached to them so you can see how well each campaign, ad group, or ad is working. You can see who is clicking on your ads and what they are searching for to find them. This will help clean up your campaigns as well as show you how much money you are making off of them. Training: AdWords is a very popular way to get seen on the internet. So popular that we’re writing about it! There are many resources out there for people who want to use AdWords or other PPC platforms. Online courses and other training materials are available to help you develop better skills. Quick Results: As long as you’re willing to spend the money, your results will be seen almost instantly. It may cost a bit more when you’re just starting out, but once you tweak your campaigns you can be pay next to nothing once your ads have been running for a while. As you can see, there are many benefits from running a PPC campaign. Whether you are just starting out on the internet or are looking to get more traffic to your website, a quick PPC campaign might be the best bet. Happy Contractor has been running PPC campaigns for contractors for over 30 years. We have revamped current clients campaigns to get them the best results while paying as little as possible for clicks. If you need a PPC campaign or need your campaigns looked at for savings, call us at (800) 990-5811. This entry was posted in Pay-Per-Click - PPC. Bookmark the permalink.